Madrid Es Cool nos prepara la cena con este Hummus de Garbanzos y pimentón adquirido en Pepita & GRANO. 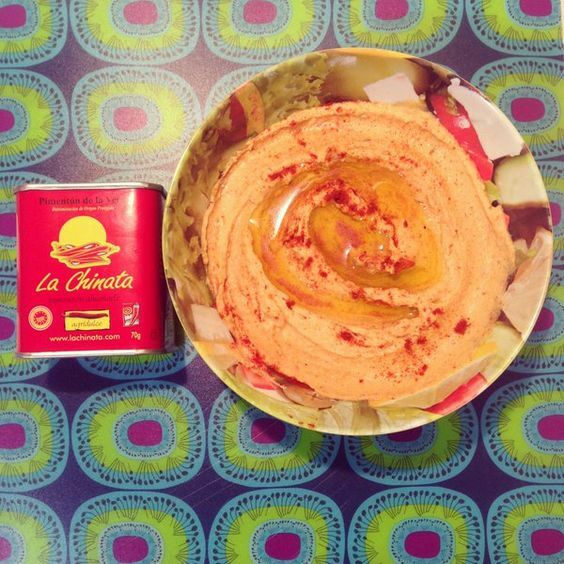 Suggestion for tonight's dinner- Hummus with Smoked Paprika La Chinata by Madrid Es Cool. 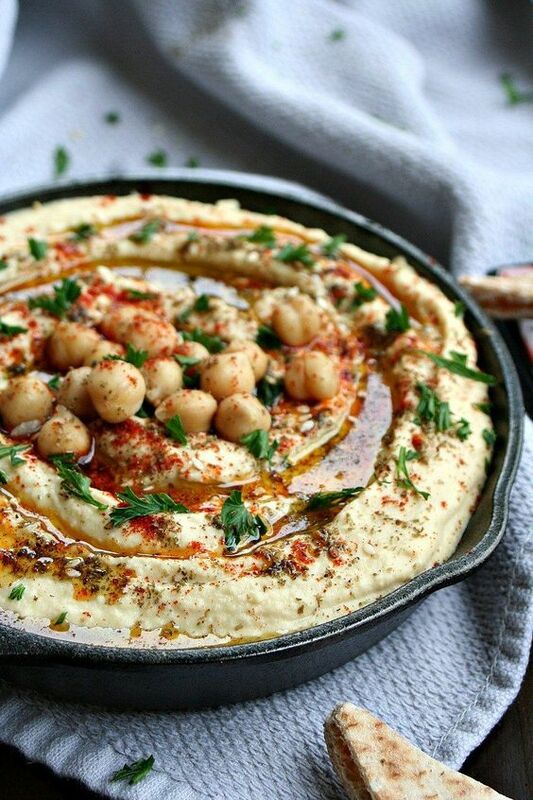 Nigella food website published this tasty recipe of Peanut butter Hummus whose main ingredients arechickpeas, garlic, olive oil, peanut butter, lemon juice, salt flakes, ground cumin, yoghurt and smoked paprika powder amongst others. This “Spinach with Chickpeas” recipe comes from Andrea Rodríguez Lois from O Grove in Pontevedra and participates in our IV International Smoked Paprika Powder “La Chinata” Contest. The main ingredients are chickpeas, spinach, garlic, cumin, bread, olive oil, salt and La Chinata Smoked Paprika. 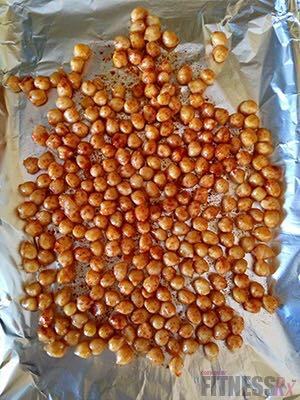 Esta receta de “Garbanzos con Espinacas” ha sido elaborada por Andrea Rodríguez Lois desde O Grove en Pontevedra y participa en el IV Concurso Internacional de Recetas Pimentón Ahumado La Chinata. Los ingredientes principales con garbanzos, espinacas, ajo, comino, pan, aceite de oliva, sal y Pimentón Ahumado La Chinata La Chinata. This “Hummus with smoked paprika” is a recipe made by Elena en la Cocina food blog that takes part in our IV International Smoked Paprika Powder “La Chinata” Contest. The main ingredients are chickpeas, olive oil, cumin, water, lemon, garlic, salt and the La Chinata Smoked Paprika Flakes. Esta receta de “Hummus con Pimentón Ahumado” es una receta elaborada por el blog gastronómico Elena en la Cocina que participa IV Concurso Internacional de Recetas Pimentón Ahumado La Chinata. Los ingredientes principales con garbanzos, aceite de oliva, comino, agua, limón, ajo, sal y las Escamas de Pimentón La Chinata. Una sugerente composición para vegetarianos elaborada por el blog “A Cedar Spoon” bajo el título de Sopa ahumada de col, garbanzos y farro, en la que se combinan las verduras frescas como la col, el farro y los garbanzos con el pimentón ahumado. 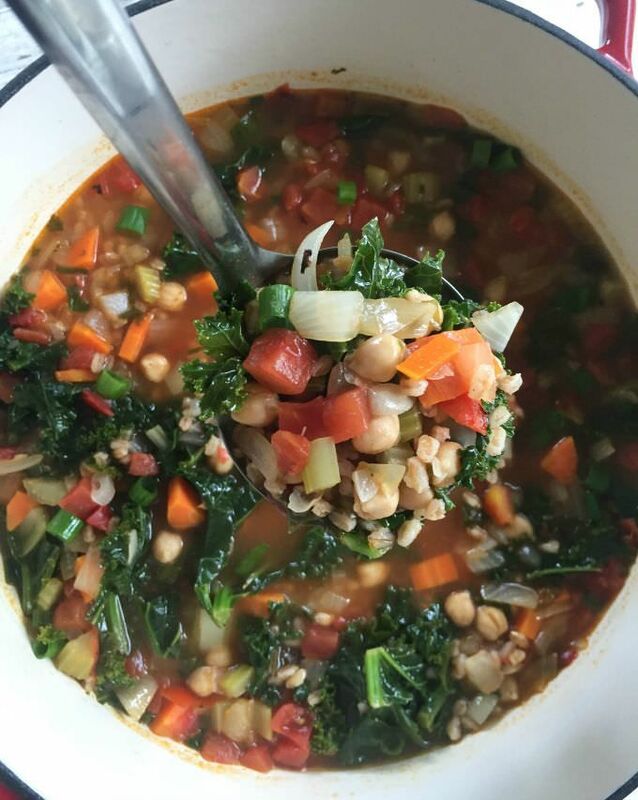 This suggestive recipe for vegetarians, made by “A Cedar Spoon” food blog, called Smoky Kale Chickpea Farro Soup is a perfect blend of fresh vegetables, such us, kale, chickpeas and farro with smoked paprika powder.